Go VIP with Chromeo to snap a photo with Dave 1 and P-Thugg and take home a signed poster. A: Most shows are open to guests of all ages. However, the age policy varies with each venue. You can typically find the age policy on the ticketing page, but if it is not there, you may also refer to the venue’s website for details regarding your specific event. A: Most venues offer accessible seating areas to accommodate their guests. Availability and type of accessible seating tickets will vary based on each venue’s policies and/or the type of event taking place. 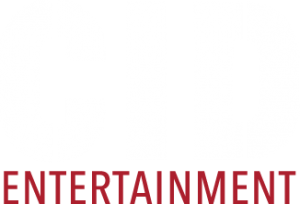 If you would like to inquire about Accessible Seating as part of a VIP program, please reach out to us at guestservices@cidentertainment.com or 888-805-8930. We will go over any available options. A: During the purchase process, you will have the option of choosing to have your tickets mailed to you, printed at home, or available on your mobile phone to show at the time of the event. Regardless of how your tickets are obtained, you will still need to check in with us at the event to ensure you get to take advantage of all the perks that come with your package! As it gets closer to the event, the ticket purchaser will receive an informational email including the exact time and location for VIP Check-in. Please bring valid photo identification, and stay tuned for that email! A: While the exact time varies with each show, VIP check-in will generally occur about 2 hours before the show starts. We will provide the specific times and check-in location for your show in our informational email approximately one week before the concert. A: Once you receive everything at check-in, you should have the opportunity to bring items back to your car before entering the concert venue. You can also check with the venue to see if they have a coat check available. We understand that it’s not always comfortable to carry around your merchandise during the show – it makes it harder to dance! Q: Can I get an autograph from Dave 1 and P-Thugg during the meet & greet? 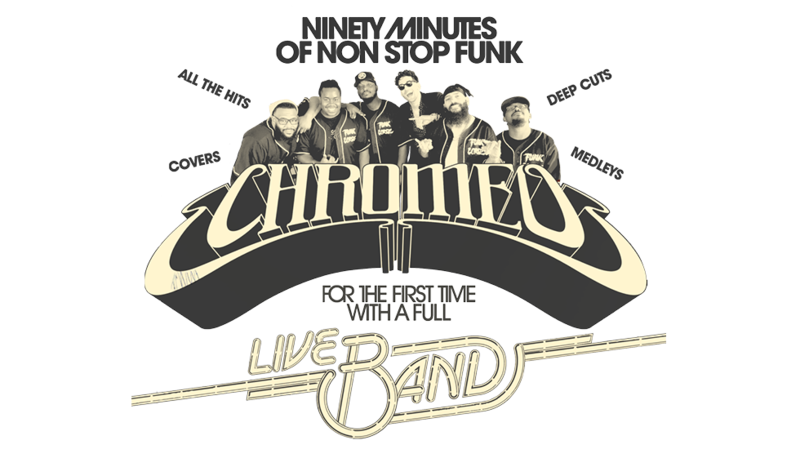 A: Chromeo will not be signing autographs during the meet & greet, however, you will be receiving a signed tour poster as a part of your package! Q: Can I get a solo picture with Chromeo during the photo opportunity? A: If you have the “Funklordz Juice” Experience, you will be part of a group photo with Chromeo and other VIP guests. If you have the “Funklordz Bedroom Calling” Experience, you will be able to get a photo with the members of your party and Chromeo during the meet & greet. A: You can bring your camera phone and/or a standard point-and-shoot, but any cameras with detachable lenses will not be permitted. We will have a representative available to assist with taking the photo. A: Our ability to upgrade depends on a few different factors – availability, the venue, and date of contact – but please reach out to our guest services at 888-805-8930 to inquire about any upgrade availability, and we’d be happy to discuss your options with you. Q: Am I going to have an incredible time?